The K-wave continues with another Seoul import entering Singapore. The 2,000 sq ft Masizzim - a combination of the Korean words "masi" (delicious) and "jjim" (steam) - specialises in stew: beef rib, pork rib and spicy chicken. 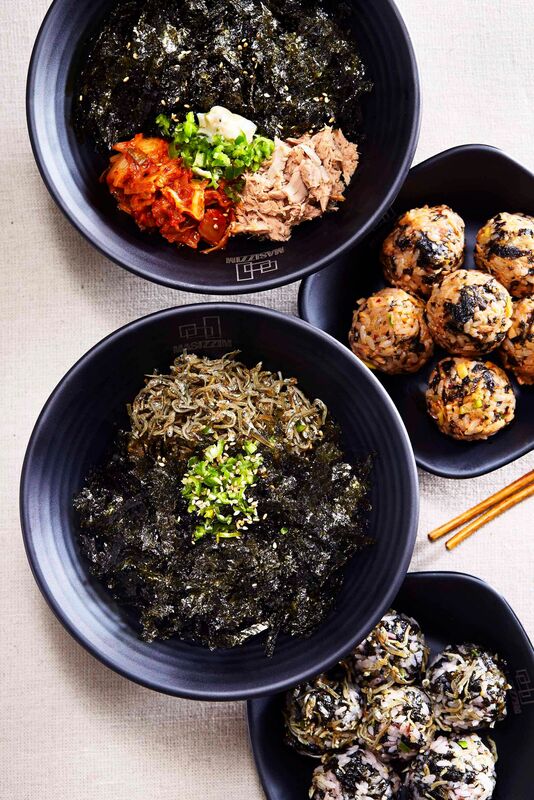 They are priced from $16 (individual portion) to $32 (double portion) and diners can choose between Korean glass noodles and udon to go with the stews. Then, pick from four levels of spiciness or the non-spicy soya stew base, a blend of soya sauce, pineapple and Korean pear. Side dishes include rice balls ($8), squid and leek pancakes ($14) and tomato cheese kimchi pancakes ($13). For drinks, try the Sikhye jar ($9.50 for 660ml), which is a malt barley and rice beverage brewed in-house daily. The 85-seat restaurant is run by food and beverage company K Food Holdings, which brought in popular Korean fried chicken franchise Chir Chir. Japanese chef Seita Nakahara, formerly executive chef of Enoteca L’Operetta, has opened anew 36-seat Italian restaurant, Terra. With his experience cooking in kitchens around Tuscany, Sicily, and Piedmont, the menu features predominantly Italian dishes showcasing seasonal Japanese ingredients. In true Japanese fashion, an omakase menu($128++) is available for lunch or dinner. There is also a degustation menu ($98++) with dishes such as scallop gratin and mushroom herb butter; and Hokkaido sea urchin spaghetti with yuzu and bottarga. Lunch sets are priced at $42++ (three-course) or $58++(four-course). Ala carte dishes include ragu alla terra ($26) with tajari pasta, minced Tajima beef, tripe, tail, tongue and bone marrow; roasted veal rack ($48); and seasonal fish of the day (market price), grilled or cooked acqua pazza (poached in a light broth). There is also a small selection of cheeses and desserts such as tiramisu ($10). For homey Italian fare, head to Ciao in Haji Lane. It serves the unique Pizzawich ($15 each), a sandwich made using pizza dough. Options include parmaham and rocket salad; provola cheese and spicy salami; grilled capsicum and pecorino cheese; and burrata cheese and parmaham. Salads, pizzas and pasta are also on the menu. Highlights include Maltagliati Bolognesi ($18), pasta scraps with Bolognese sauce that has been simmered for three hours; penne alla vodka ($24), where smoked salmon sitson a bed of penne pasta, with vodka and cream sauce; prosciutto e funghi pizza ($22), with mozzarella, ham and fresh mushrooms; and calzone ($26). 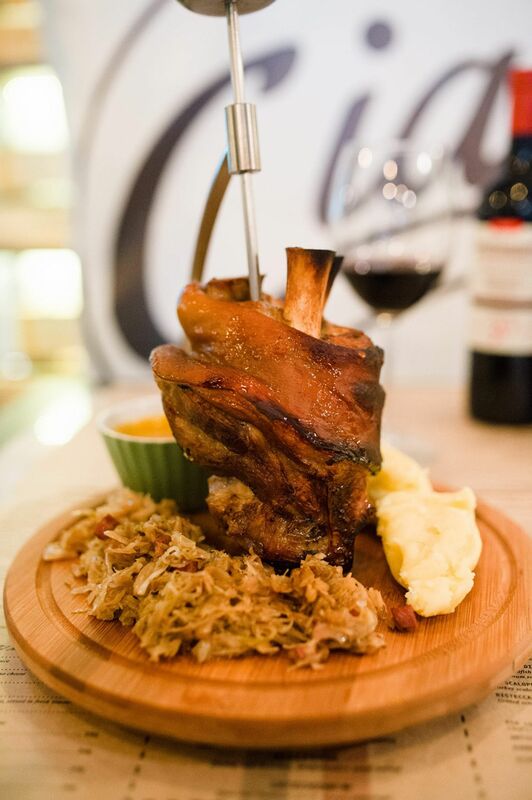 Other items include pork knuckle in beer sauce ($38), served with mash potatoes and white cabbage;and Baccala DiMemena ($30), which is stuffed codfish with potatoes, vegetables and chestnuts. Complete the meal with tiramisu ($12), panna cotta ($9) or a scoop of gelato ($6). 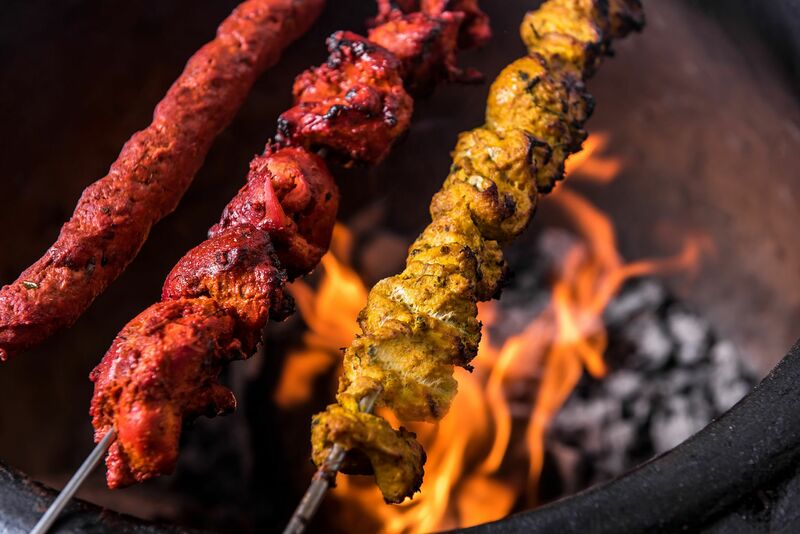 Roll up to this three-month-old restaurant for your fix of kebabs, where the meats are cooked over a charcoal fire in a traditional tandoor clay oven. Options include Pistol & Mortar ($11) with chicken tikka; Mughal Mouton($13) with minced lamb; and Mashbox76 ($11), a traditional seekh kebab with a blend of mashed vegetables. Add $3 for masala fries (served with mint sauce) and a soft drink; or get your roll with a beer (Asahi, Sol or Kingfisher) for $20. Daily kebab promotions are available as well as happy hour from 2 to 8pm. Taking over the premises of buffet restaurant Olive Tree at the InterContinental Singapore, this 150-seat European restaurant serves buffet for breakfast, an a la carte lunch menu with salad and dessert buffet options and a la carte dishes for dinner. 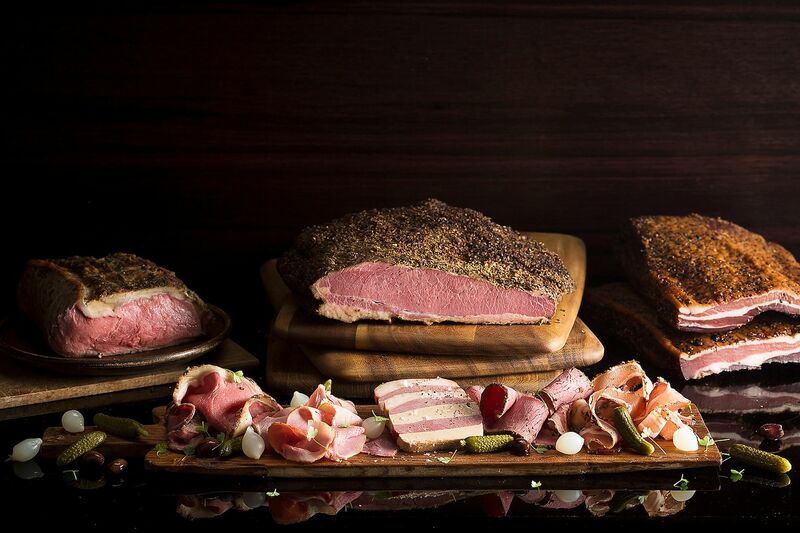 Menu highlights include the Ash & Elm Platter (from $24), which is an assortment of house-cured meats such as beef pastrami and smoked pork loin. The Beef Tasting Platter ($108) has striploin, ribeye steak and bavette d’aloyau char-grilled over manuka woodchips. Mais include Tasmanian salmon fillet ($46), with a zesty grapefruit Hollandaise sauce, and a French Free-Range Yellow Chicken Supreme ($29), perfumed with thyme and rosemary. Endthe meal with desserts such as Chocolate-Hazelnut Pizza ($24), a chocolate brioche studded with chocolate, marshmallows and topped with ice cream.